Sometimes we all forget the basics. This is especially true when it comes to SEO. Search engine optimization is such a volatile and ever changing landscape that even the pros sometimes forget, or over look the basics. We get wrapped up in dissecting the newest Algorithm change and adapting to them that we sometimes overlook the obvious. Let’s touch base on a couple that we see happen often when business owners attempt SEO on their own. Yes, keywords are still very important to on page and off page SEO. While Rank Brain is learning away, we do see that with some of our clients sites that they rank for words and terms that are NOT on their site, and are synonyms or LSI keywords. Still, it’s very important to have as many sprinkled throughout your content AND in your backlink profile, (use sparingly for backlinks). That’s good content from Gabriel, especially about not forgetting to add Geo modifiers to your keywords. Local is important for most businesses as they don’t serve the entire US but only their local city or county. As Google gets smarter it picks up on users location and will direct them to businesses that solves their search query. In fact, with most searches now when you search for something you will see in Google suggests the “near me” appended to your search term. So don’t forget to localize! We recommend you check out Gabriel’s article because of his next point being speaking like a human, which kind of ties in with keywords and voice search. His first point is one that we see all to often. A blog post that is listed in several categories resulting in duplicate content penalties. It’s important to note that in every test we have ever done on duplicate content, the only time it ever results in a penalty is when it is duplicate content on the SAME site. His last point is also another one that can’t be overlooked, not properly setting permalink structure. We do run across this from time to time. We have seen that through updates that sometimes the permalink structure gets changed for whatever reason and must be reset. Don’t forget about the basics, they still work. Keywords in your content and backlinks as well as keyword rich titles and descriptions, H1 and H2 tags with LSI’s. Lastly, make sure your permalink structure is correct and hasn’t changed or been altered by mistake. Your website is ground zero for all of your online marketing. Whether you are using video, social media, adwords – you name it, everything points back to your website to convert visitors into customers. However, if your site isn’t performing at it’s peak, then you maybe losing sales. Here are some great tips to make sure you are getting the maximum potential out of your WordPress site. If you have followed any of our posts on Web Design, you know that we have been mentioning for awhile that your site needs to load fast. If your site doesn’t load in just a couple of seconds, users will hit the back button to go to another site. Site load speed is also a ranking factor in search engines. So making sure your site loads fast is probably one of the biggest factors in getting the most out of your site. To learn more about how to make your site load faster, see our post “Speed Up Your Site For Better Rankings And UX“. It’s a great point from Chris. We like how he makes the connection between cheap hosting and “hobby” hosting. It’s true. You need to stop and ask yourself if it’s worth saving a few hundred dollars a year on hosting costs that could literally be costing your business tens of thousands of dollars in sales due to a slow loading site or not loading because of exceeding your monthly bandwidth. Are you running a business, or is it just a hobby?? Next we move onto more things on your WordPress site itself. We have covered about how important it is to keep your site’s themes and plugins updated. “Is Your Website At Risk Of Being Hacked” explains how important these updates are in keeping your site secure. Sometimes these updates can also lead to how well your site performs, or doesn’t. One of the greatest things about WordPress are the plugins. There are thousands of them. What you must remember is that “the more the better” rule DOES NOT apply here. Too many plugins will slow down your site, while some plugins are hogs and can really slow things down. As a general rule, we try and stay away from “Swiss Army Knife” plugins that do “everything” for you as they tend to be the worst. Also, the more plugins you are running the greater your chances of having a conflict resulting in again the “white screen of death” or the site not functioning properly leading to poor user experience. Try and use the minimum amount of plugins as possible to get your needs done. It’s a good idea to regularly check your plugins and if you are not using them, deactivate and uninstall to keep from slowing down your site and minimize the risk of plugin conflict. You may be the owner of a small business with a small website and think your website isn’t a target for hackers. After all, what would a hacker want with your website? Your website might be just about your services that doesn’t contain any customer information. Why would a hacker even bother with your “little” site? You might be surprised about what hackers can do with your site once they infiltrate it and what they can do. We are sticklers about website security. We have also taken on customers that have had their site hacked. It’s no fun. Every site that we have dealt with that has been hacked did not have any person’s personal information whatsoever. So why did the hackers bother with these sites? If you are using our favorite CMS – WordPress, it’s really very simple. It’s all about the numbers. As of last year (2016), WordPress websites accounted for around 26% of the websites on the web. So with over a Billion sites on the web that equates to around 250 million of them being on WordPress. It’s a numbers game for hackers, why not create one bot that can have the most effect and best chances of succeeding. That’s not even the entire list from the post, nor is the post every way that a site can be hacked. As time goes on, hackers get more sophisticated and develop new ways to get into sites to use them as they wish. Before you get into a full on panic, there are things you can do to help make sure your site doesn’t fall victim to hackers. The first thing you can do is make sure you use strong usernames and passwords. Never, and we mean never, use the default “Admin”. Use very long passwords, maybe a snippet from your favorite song and add a few punctuation marks and numbers before and after. The second thing and probably the most effective is……. KEEP YOUR SITE UPDATED! Whenever there is a new release of WordPress, make sure you install it right away. Whenever you receive an email that an update is available, get it done. But it doesn’t stop there, you also need to make sure that your Themes and Plugins are also kept up to date because they can be just as vulnerable. A classic example of this is the vulnerability in the Revolution Slider back in 2014 where as many as 100 thousand sites were hacked. You won’t receive email notifications for these types of updates, so we suggest checking at least weekly that everything is up to date. Gail also makes some good points in her article about you company’s security policy with employees that have access to your site. Lastly, we want to point out that you should be making backups regularly. Why? Because if your site does get hacked, restoring your site to it’s previous condition will be a whole lot easier. While you might consider your site not large enough, or have important data that hackers may want, it’s still a target. The most important and effective ways of keeping hackers out is to choose a good host, and keeping your site up date to help minimize the risks of your site falling prey. And in case it does fall victim, make sure you have backups! It seems like we’re past the point of requiring evidence that supports the dwindling human attention span, but just in case — studies say it’s about eight seconds. On top of that, roughly two-thirds of consumers prefer video under one minute, so in sum: Keep it short. I’ll never forget what HubSpot’s CEO, Brian Halligan, said to me during a chat about content creation: “You’re asking to borrow someone’s brain.” When you ask someone to borrow anything, the considerate thing to do is to be respectful of that person’s time, and when they might need it back. Generally, we need our brains — so when you create something like video content, remember that you have your viewer’s brain on loan. That’s not to say that your video needs to be limited to eight seconds — after all, how much could you possibly say in that amount of time? But when you create it, make sure those first few seconds are highly engaging, as that’s when you’ll need to grab the viewer’s attention to maintain it. The second thing to avoid and that we see as a problem for a lot of “do it yourself” videos is going on and on about how great their company is, or how many awards they have won, or just continually talking about themselves or the company. What people care about is how YOUR company can help solve THEIR problem. It’s okay to tell your viewers about your companies achievements, but keep it very short and to the point. Remember that your marketing videos are to get conversions, so the more you tell them about how using your product or service will simplify or make their lives easier increases your chances of turning viewers into customers. We included his article because we find that these things are often overlooked by people producing videos. Many people put too much emphasis on views and don’t pay any attention to other metrics, such as drop off rates. While you video may be getting views, viewers maybe leaving the video at 30 seconds in before they get to a call to action. Then all to often we see videos with no clear call to action. If you don’t tell viewers to take action, they won’t. 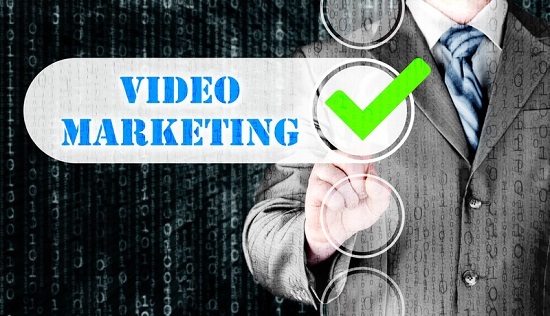 Most videos that do have a call to action usually have them at the end of the video. This can be a problem when viewers aren’t watching the video to the end, and why paying attention to the drop off rate is important. This can sometimes be avoided on YouTube with the use of Cards. You can have Cards open up with teaser text and calls to action right inside the video and put them towards the beginning of the video to help increase conversions. The problem with YouTube Cards is that they do not work on every device, so if your drop off rate is before your CTA, your video isn’t converting. Keep you videos short and to the point. It’s okay to tell your viewers about your company, but keep it short and remember to tell them how YOU can help THEM. While views are important, don’t forget about drop off rates as this can effect your CTA and your video may not convert as much as you would like. To help avoid drop off before your CTA, and if you are hosting your videos on YouTube, make use of Cards. Voice search from Google has been around for a few years now and more people are adapting to it because of the ease of use over typing, especially on smaller devices. The accuracy of voice search has also increased significantly as of late, making it more appealing to more people. Is it really that important to make adjustments on your site and content for voice search? That’s what we will be answering here. According to Google, 20 percent of searches on its mobile app and on Android devices are voice searches. As with almost anything in technology, this number is sure to increase in the coming years. And with “personal assistant” tools like Alexa and Google Home purchases on the rise, it’s a sure sign people like the ability to just speak instead of type. Good points from Nate. It’s important that you the reader take note of his last paragraph about executives, that 90% of execs use mobile before making a purchase and that they too will soon start using voice search. For that reason alone you should want to ensure your site is ready for voice search. That’s a good read from Megan. When we at the office started brain storming about the possibilities of voice search, we have to admit that we did think that it could really wreck organic search results. However, Megan makes a strong case for multiple page 1 results based on the searcher’s query. In any case, voice search is another trend that must be addressed for local businesses. For quite some time Google has been informing the public that site load speed is a ranking factor. The problem is a lot of site owners have no clue how to speed up their site. In this short article we’ll cover a few actionable tips to get your site up to speed and better rankings. In our last post under the web design topic, we wrote about how using a CDN can help speed up your site. Because site speed is so important to both rankings and UX, we thought we would expand further on site speed. Honestly, we could have put this post under the local seo blog because of the ranking factor, but since it’s a little more technical, we opted to place it under the website building, design and development category. A lot of people don’t realize how site speed and UX tie together for rankings. If someone clicks a link to your site and it takes more than a few seconds to load, most people just hit the back button to look elsewhere for the information they are hunting. This actually counts against you twice. The first is obvious, you have lost a customer to someone else. The second is that to the search engines, you are giving a negative bounce signal, which means the person performing the search wasn’t given the info they were searching for on your site and decided to search elsewhere. That negative bounce signal can be increased if you are using Google Analytics on your site. There are a lot of things that come into play when it comes to how fast your website loads. The first that we have mentioned before is where your website is hosted. Where your website is hosted alone can make a HUGE difference in page load time. Cheap shared hosting just won’t cut it. We feel that hosting is such a big issue we will cover it more in depth in an up coming post. David gives a lot of great tips in the article. One of the biggest speed factors that we see for clients that come to us with an existing website is the point he makes about images. We would add that proper image size is also important, especially if your are using WordPress. Many times we see on site pages an image that is 400×400 pixels, but then when the media library is inspected the image is a whopping 1500×1500. Now WordPress is being slowed down by having to resize these images while loading. This looks really promising, while we will have to do some testing on a few of our own sites to make sure it does what it says it will and doesn’t break sites. We do have to admit that we were a little confused by the name “Hummingbird”, thinking that it was going to be something that talked too, or tickled Google’s Hummingbird update. If you have been ignoring how fast your site loads, you better start giving it some thought now and taking action. Even if you aren’t driving traffic from Google, but social media or other avenues, visitors to your site will not tolerate slow loading sites. We’ve given you a few actionable tips through a couple of trusted sources to help get the job done. One word of caution, before making any changes to your site – MAKE A BACKUP of your site, just in case things go wrong.